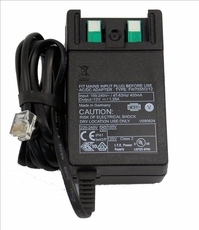 This is the AC/DC power supply for use with all Gemalto Terminal units. the connector that fits into the terminal is an RJ11, postive-lock 6 pin. The cable is approx 1 meter in length.